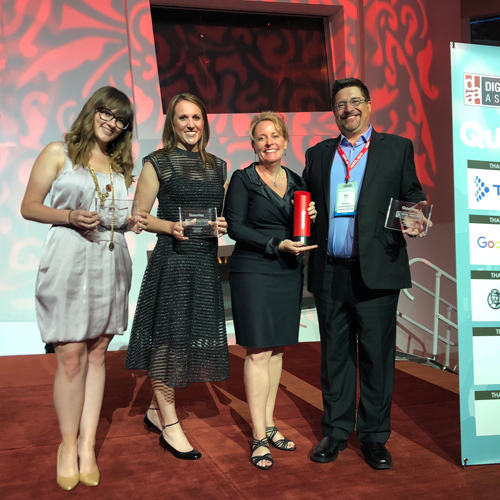 The ultimate award recipients were selected by a panel of distinguished independent judges who represent all sectors of the digital analytics industry as well as on site attendees who voted to select the winners, after they competed on stage, showcasing their best work and technologies. The DAA also recognized our team members as finalists in three more categories, meaning that Evolytics was voted a finalist in more categories than any other company. In the Top Analytics Team category, Krissy Tripp and Tom Wilkins participated in live competition, demoing an A/B Testing Tool Box we developed for a hospitality industry client, which received high praise from many attendees. Bethany Hartley was honored as a finalist in the Difference Maker category for her work with Children International, while Evan Vermilyea was recognized as a Top New Practitioner finalist for his work as an analytics engineer at Evolytics. We are honored to receive this prestigious recognition from the Digital Analytics Association and the analytics community. My deepest gratitude goes out to our awesome team members and clients at Evolytics. 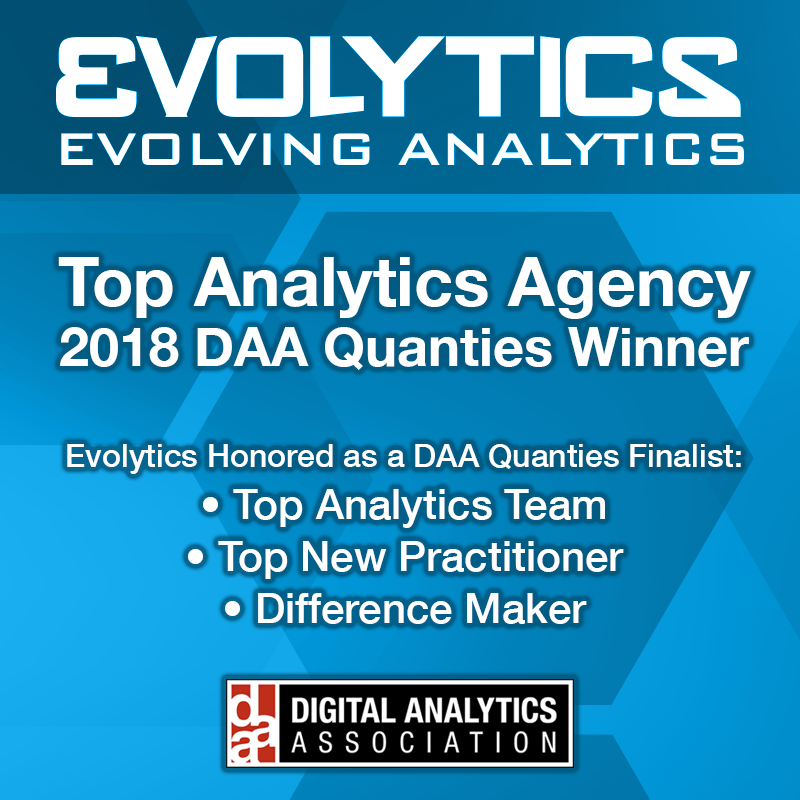 Collaborating together to solve analytics challenges and make a difference in the world, our collective expertise, hard work, and dedication truly makes Evolytics the Top Analytics Agency!